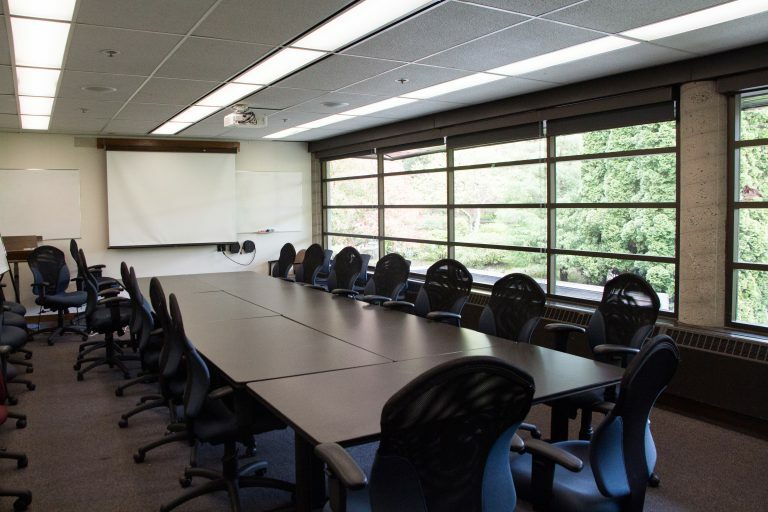 Located on the main floor of the Asian Centre, the Conference Room has one wall of windows that provide a beautiful view of the sunken garden outside the building. The room contains 9 tables placed together in boardroom style, with 25 air-flow mesh chairs. 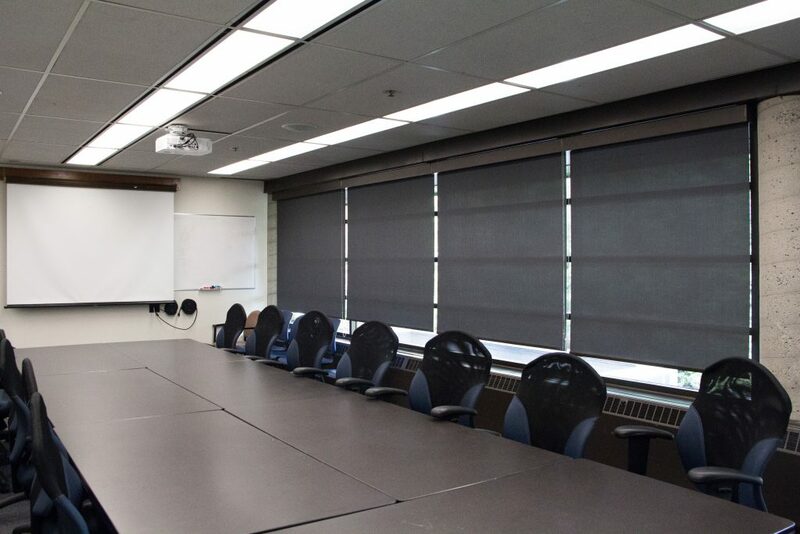 It is equipped with a 70-inch retractable screen for showing films and slides and a built-in 6-foot blackboard. This space is available for university and public groups.